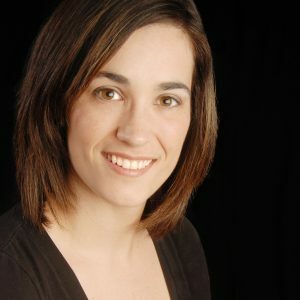 Kristy’s 20 year professional career in dance began as a young girl growing up in her Mother’s dance studio in Ontario. As a competitive dancer, starting from the age of six years, Kristy won numerous awards, titles and scholarships. She has travelled throughout Canada and the United. States and spent her formative years attending competitions, workshops and judging numerous dance competitions developing a love for the arts that has never diminished. She is a skilled and highly trained dancer in Jazz, Lyrical, Tap, Musical Theatre, Stage, Contemporary, Ballet, Pointe, & Hip Hop. A love for choreography led Kristy to follow her dream and share her passion for dance with talented dancers of all ages. Students who have performed Kristy’s innovative and genuine choreographies have won countless awards, titles and scholarships to prestigious academy’s such as the Joffrey Ballet, Alvin Ailey, National Ballet of Canada & the Royal Winnipeg Ballet Company. Above all else, Kristy has an intensity for dance and her students that cannot be matched. “Great dancers are not great because of their technique, they are great because of their passion.” A motto she stands by and equates with each student that crosses her path. Kelly has been working professionally in the entertainment business for the past 25 years. At the early stages of her career, Konno moved to Los Angeles to work with international superstars such as Janet and Michael Jackson, Justin Timberlake, Prince, Pink, and NSYNC. She has performed on the Grammy Awards, MTV Video Music Awards, American Music Awards, The Oprah Winfrey Show, Saturday Night Live, The Tonight Show with Jay Leno, and many others. She has toured extensively across the world with Janet Jackson, Prince and Justin Timberlake. She is one of the most respected choreographers in the industry. Her choreography credits include the competition reality series on Global television, “Canada Sings”, the feature films “Frankie & Alice” starring Halle Berry & “The Layover” directed by William H. Macy, the “Aaliyah Biopic” alongside Luther Brown, Nickelodeon’s “Rags”, “Spectacular” & “The Best Player”, the WB’s “Another Cinderella Story”, Janet Jackson’s show at the Atlantis Resort in the Bahamas, the “Feeling Good” music video for Michael Bublé, the hit Disney feature film “The Lizzie McGuire Movie”, as well as choreographing performances for the 2010 Winter Olympics Torch Relay. She has also choreographed commercials for COKE, Benjamin Moore & many others & shows such as “Backstrom”, “Fringe” & “Lucifer”. Kelly is also pursuing a career in acting. and can be seen on episodes of, “iZombie”, “Zoo”, “Supergirl”, “Frequency”, “Motive”, “Once Upon a Time”, “Fringe” & “Continuum”. Movie credits, “The Unauthorized Story of Beverly Hills 90210” & the Jerry Bruckheimer pilot “HOME”, the Hallmark MOW “Hearts of Spring”, “Garage Sale Mystery” & ” A Time to Dance”, as well as Lifetime’s MOW “Her Secret Killer” &”Bundles of Joy”. 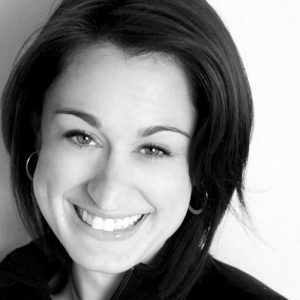 Tanya has been dancing for 20 years, and has trained under an endless array of professional choreographers and dancers. She has worked for choreographers such as Luther Brown, Rhapsody James, Kevin Maher, Nick DeMoura, Misha Gabriel, Laura Edwards, Blake McGrath, Tabitha and Napoleon. Most recently, she worked as an assistant choreographer on the Family Channel show ”The Next Step”. Tanya began her professional dance career at the age of 15, she was the principal dancer in the Disney release of “Camp Rock 2”. Movie credits include: “Harriet The Spy”, “Blog Wars”, “Sharpay’s Fabulous Adventure”, “Breakaway” and “Dr. Cabbie”. She has also worked with Carly Rae Jepsen, Psy, Ludacris, Ylvis, Shawn Desman, Ashley Tisdale, Tegan and Sara, Hedley, Serena Ryder, Anjulie, Vita Chambers, Keshia Chante, Deborah Cox, Fefe Dobson, Kreesha Turner, Aleesia, Cascada, and many more! Television credits include “Hellcats”, “L.A. Complex”, “Warehouse 13”, “Wingin’ It”, “Suits”, “Orphan Black”, “Bomb Girls” and “The Next Star”. Currently, she is a lead dancer on music videos and live performances for recording artist Victoria Duffield. Most recently, Tanya performed at the Choreographer’s Emmy Nominee Reception in Los Angeles, California, working closely with choreographers Misha Gabriel and Nick Bass. She is always excited to pass on her knowledge and passion for the arts to the next generation of dancers. Janice Lynn has been involved in dance education for the past 33 years. She owned and was the Artistic Director of a successful dance studio in Whitby, Ontario for 27 years. She now offers her knowledge and expertise to various studios in the Toronto area teaching Tap, Stage, Acrobatics, Jazz, Lyrical and Ballet. Under her direction, many of her students have won prestigious awards both locally and internationally. Her students participate in annual dance examinations, yearend recitals and charity events. Many of her students have gone onto professional careers in dance including studio owners, cruise line performers, theatrical performers, and singers. Janice has adjudicated at a Regional and National level in Canada. It is Janice’s belief that education in dance is vital to our industry and therefore continues to expand her knowledge and training each year by taking part in seminars and conventions that help her maintain high standards. Her ongoing passion and focus is in encouraging and developing young performers. She looks forward to sharing her knowledge with all of the dancers this week. 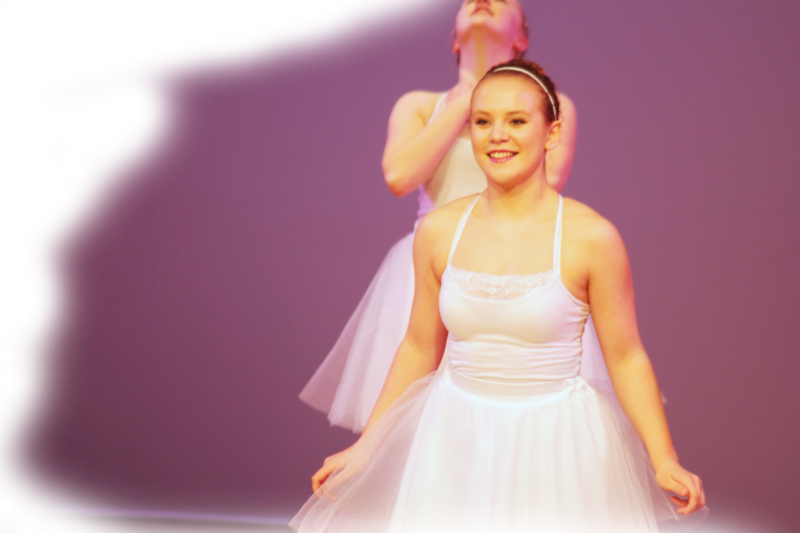 Megan started her dance training at the age of four and has been tapping, twirling, and teaching ever since! She holds her Canadian Dance Teacher’s Association Stage Division Full Member – Ontario Division (Tap and Jazz). 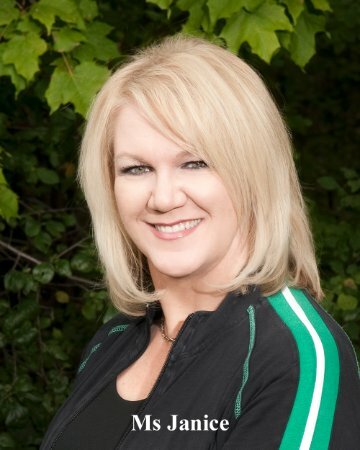 In Saskatchewan she was the Director of the Regina Musical Theatre Studio, running both the recreational, examination and competitive dance and musical theatre programs. Megan was also the Director and Choreographer for the youth performance company called the “Mini Express” and “The Expressions”. During that time she was the Choreographer and Assistant to the Artistic Director of the touring Performance Company, Saskatchewan Express, gaining teaching expertise in Tap, Musical Theatre, Jazz, Lyrical, and Ballet. She has been the choreographer for many high schools and arts organizations for shows including: The Lion King”, “Honk!”, “Cinderella”, “Dirty Rotten Scoundrels”, “Titanic”, “Carousel”, “Seussical”, “High School Musical”, “Oliver!”, “Grease!”, “Guys and Dolls”, “Cats”, ” Into the Woods” and “Sweeney Todd” and many more. In 2007 she was chosen to Choreograph for Johnny Reid’s performance at the Labor Day Classic, Co-Direct and Choreograph the Cheer Team for the Saskatchewan Roughriders. In 2012 she had the opportunity to choreograph and assist during the CBC’s Canadian Country Music Awards. 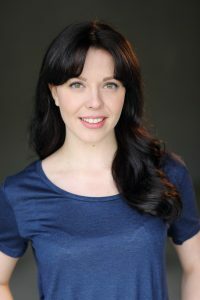 Now living in London, Ontario, Megan has worked as a professional choreographer at The Grand Theatre and has also choreographed shows for the Original Kids Theatre Company. Currently Megan is on faculty at Fanshawe College teaching movement in the Theatre Arts Program. She is a choreographer and dance instructor at St. Mary’s Choir and Orchestra School. Megan adores teaching the young and the young at heart, and knows firsthand what a difference the arts can make in their lives. Tara Williamson, originally from Richmond, BC, started dancing at the age of three. In 2006, she danced with Alberta Ballet performing roles such as Juliet in Jean Grande-Maître’s “Romeo and Juliet”, Carabosse in Kirk Peterson’s “Sleeping Beauty” and Choleric in “Balanchine’s Four Temperaments”. After eight years at Alberta Ballet, she worked with Les Ballets Jazz de Montréal, touring to various places across the world, with works by Cayetano Soto and Wen Wei Wang, to name a few. Her most recent performances were to be seen here in Vancouver, with works such as Emily Molnar’s “Rite”, Medhi Waterski’s “Natus” and “Petite Ceremonie” and William Forsythe’s “Work Within Work”. After a wonderful and fulfilling career, she retired from Ballet BC in June 2016, and opened her own ballet and contemporary school in Calgary, AB, with principal dancers, Yukichi Hattori and Galien Johnston Hattori, called the “Hattori/Williamson (H/W) School of Ballet”. Tara is so excited to be back in her hometown, while having the pleasure of watching and adjudicating the next generation of professional artists. Paul became the Artistic and Executive Director of Ballet Victoria in 2007, and elevated the company into a local and national cultural asset by presenting innovative and internationally-acclaimed works. Recipient of the Queen Elizabeth II Diamond Jubilee Medal in 2012, and the Paul Harris Fellowship, he brings three decades of experience from a successful international dance career working with world renowned directors, dancers and choreographers. 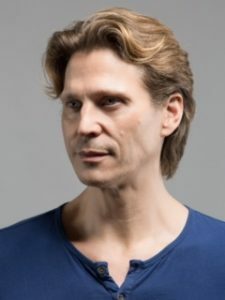 He was a soloist with the Royal Winnipeg Ballet which he joined in 1993 upon graduation from the School’s Professional Division, receiving the prestigious Prince Edward Award and the Arnold Spohr Scholarship. He was a principal dancer with Alberta Ballet for two seasons and with Oregon Ballet Theatre from 2003 until 2007. Paul has created works, taught and coached for professional companies and schools including the Royal Winnipeg Ballet, Oregon Ballet Theatre, Northwest Professional Dance Project, Ballet Kelowna, Edmonton Citie Ballet, Ballet BC and the Okanagan Summer Dance Intensive. His works have been commissioned by the Pacific Opera Victoria and the Victoria’s Symphony. Paul’s choreography focuses on ballet as an “Art of Light”— shaping light with movement to reflect musicality and trigger emotion. He has choreographed over thirty works and ten full-length ballets, that have been performed to rave reviews in Canada, the USA and Japan. Vandna is a classically trained dancer and instructor. She has studied dance in Vancouver, BC for over twenty-three years. In 2005, aided by the B.C. 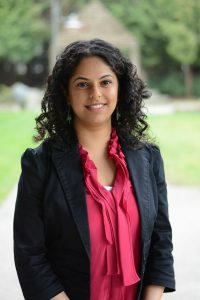 Arts Council, Vandna traveled to study dance in New Delhi, India and in 2007, she was awarded the prestigious Shastri Indo-Canadian Institute Arts Fellowship, which took her back to New Delhi for more intensive training. Vandna has taught dance at a recreational level for the City of Surrey and privately with students aimed towards training professionally. Her solo production, “Five Elements” (2009) was presented by the City of Surrey and the Surrey Arts Centre as part of the 2008/09 Season. She has performed in Shakti Dance’s production, “Body of Dance” (2005) and as a solo artist co-produced “Safar: A Journey of Classical Indian Dance”, (2007) presented by Presentation House Theatre and supported by the B.C. Arts Council and Vancouver Asian Heritage Month Society. Vandna has always been fascinated by Surrey’s contemporary connections to the rich, diverse and multicultural history, art and culture of our global citizens. Vandna has a B.A. in Communications and Publishing from Simon Fraser University and a Master’s in Digital Media from the Centre for Digital Media in Vancouver. As a communications professional, Vandna has worked with various arts organizations in the Lower Mainland (including Ballet British Columbia). She is inspired by storytelling; cultural engagement and exchange. Rebecca or Becks as her friends know her, is a professional dancer, teacher, and current graduate with a Bachelor of Fine Arts specialized in Dance from Codarts University of the Arts in the Netherlands. She began her dance training and competing in the Lower Mainland prior to dedicating herself to classical ballet. She trained at the Atlanta Ballet and Alonzo Kings Lines Ballet and is an alumna of the Contemporary Program of the School at Jacobs Pillow Dance Festival. While there Rebecca trained under the direction of Milton Myers (Alvin Ailey, Philadanco, the Juilliard School) and performed works by Marguerite Dolan and Thang Dao, as well as “Grand Duo” by Mark Morris. Rebecca was a contestant on Season Four of the hit-TV show “So You Think You Can Dance” Netherlands/Belgium. As a top eight female, Rebecca worked with European various choreographers as well as guest appearances by David Guetta and live performance by Birdy. Rebecca was a company member with De Stilte Danzgezelschap touring Internationally. She can also be seen in the Dutch TV shows “Star in Heaven”, as well as season one of “Dance, Dance, Dance”. Rebecca has participated in the professional project Springboard Dans Montreal, performing a commissioned work by choreographer Peter Chu. Currently, Rebecca lives in New York City where she balances her passion for performing and teaching with her graduate studies at New York University in Performing Arts Administration. As alumni of Surrey Festival of Dance she is excited to be back adjudicating and sharing with Vancouver’s next generation of talented dancers.